I distinctly remember groaning and rolling my eyes quite far into the back of my head as my high school English teacher passed out copies of George Orwell's 1984. At the time, the text seemed drab, dismal, and disconcerting. Why would I want to read about this dystopian future where humans had no semblance of privacy at all? How could anyone possibly live under the constant gaze of a camera lens? What I realize now, in hindsight, is that in the same breath that I complained about my junior year reading curriculum, I was chatting with my friends about Keeping Up With the Kardashians' Kris Jenner and her family's continuously filmed life. Sure, it sounds melodramatic to compare the Kardashians and Jenners to a science fiction novel, but if you've read The New York Times' most recent piece on the family, but more specifically, on matriarch Kris, you'll get the same sort of feelings of deja vu that I have. In fact, as I read further, I realized that not only did I feel as if I was reading some sort of sequel to 1984, but to the similarly-staged Hunger Games, as well. Everyone there was an assistant and everyone was a producer... A production assistant in surgical shoe coverings handed out microphones, and people wired themselves up through the bottoms of their shirts while Kris invited them into the kitchen for coffeecake. As I read, I couldn't help but remember the absurdness that I felt when Katniss and Peeta were thrust into this similar setting of cameras, producers, stylists, and how contrived everything they did under that scrutiny — and because of that scrutiny — was. It seems that Kris operates with the same general ease as Capitol-born Effie, who saw this inauthentic, superficial life as normal. 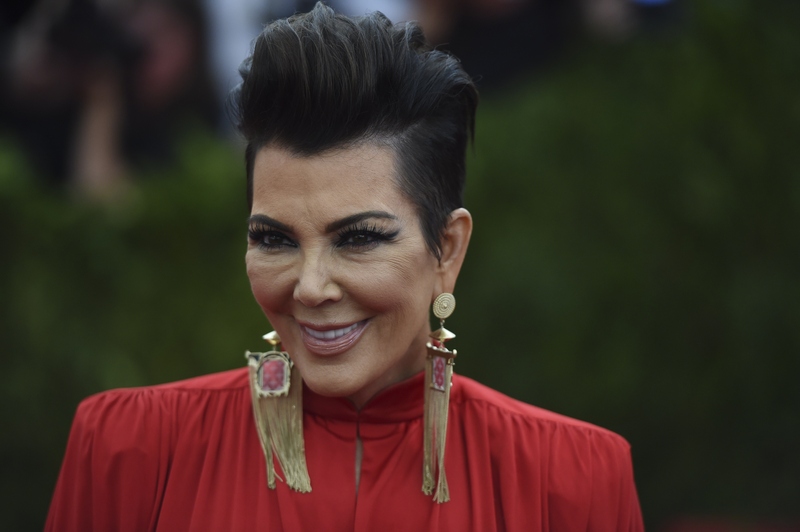 On the 18th-century Italian table in the foyer of Kris Jenner’s house lay a pile of nondisclosure agreements, ready for anyone who enters to sign. On the floor was a small framed sign that states: "What we say here, what we see here, let it stay here, when we leave here." While reading, when I didn't hear Effie's chants of, "Eyes bright, chins up, smiles on!" All I heard were echoes of, "Big Brother is watching." But a sort of reverse sentiment, in that their Big Brother is self-imposed and remains very much within their own family, insiders, and their TV show producers. Cameras, however, have been installed in the ceiling above. At any given moment, there are one or two cameras on some combination of Kardashians and Jenners. They are there 10 to 12 hours a day each day that Keeping Up With the Kardashians is shooting, more if a plotline warrants it, which, between the regular season and the spinoffs, is basically always. I did not sign the nondisclosure agreement. Kris and her children didn’t do much press for Season 10, unheard-of for this family or anyone promoting a TV show, really. Call it an educated guess to say that perhaps they didn’t want to be asked about Bruce’s transition. But not because they were shielding Bruce, whom they love. It was not because he needed his privacy during this sensitive time, which was the reason so often cited in articles about the rumors that preceded the ABC special. Bruce picked up some lessons from Kris over the years: He has signed on to do a "docuseries" with the same production company that produces their show (though Kris is not involved in it). Bruce has no privacy; none of them do. That’s the deal they made with one another. When they’re silent on Bruce, they aren't protecting him from the judgments of a cruel world; they are protecting Bruce’s exclusive. Suddenly, Peeta's question to Katniss of, "Real or not real?" as to her true, authentic feelings about him when the cameras are finally off, doesn't seem that odd at all.